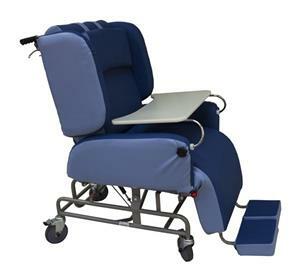 The ultimate in comfort and mobility, the Comfort Chair is an easy care solution for elderly or special needs seating. 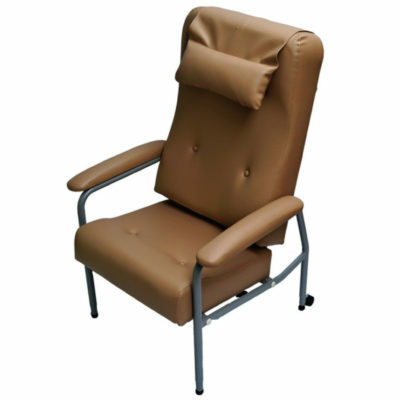 Cushioned adjustable air cell support has been incorporated into the design. 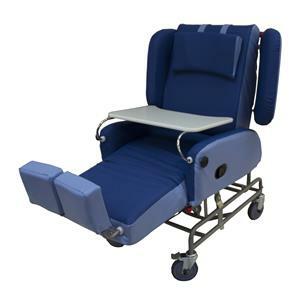 The four lateral support wings fold away for easy transferring of the patient. 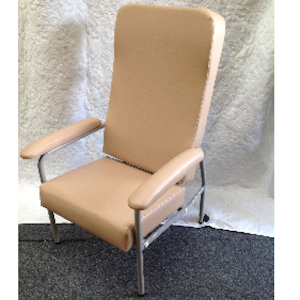 This chair has a reclining seat along with an adjustable backrest and calf rest, tray, neck support and footplate. The frame is completely constructed from sturdy stainless steel.